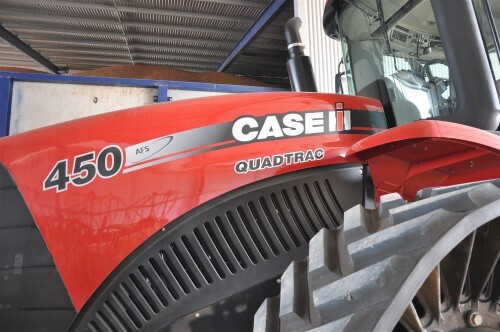 Latest upgrade to the machinery fleet is the new CaseIH Steiger Rowtrac 450. Ordered 12 months ago, It now sits patiently in the shed waiting for a new season of action. The Rowtrac will lead our planting operation in a few months time providing we see drought breaking rains. Click here for the last tractor upgrade from 2009. 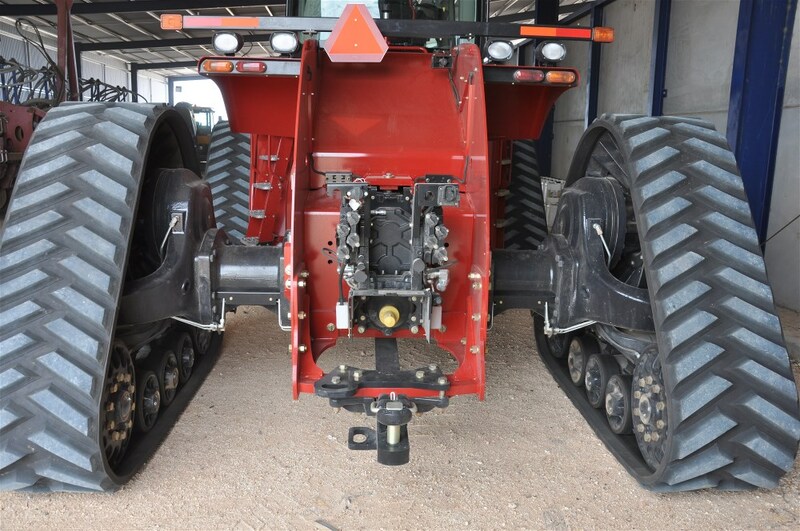 Hey guys, how did you find the performance of the Rowtrac for broadacre pulling? How did it compare to what you had before or what you thought a wheeled tractor would do? What sort of slippage did you experience?? Thanks for the response David, glad to hear that it is working for you! A follow up if I may, how did you find the tracks on turns? Do they disturb the surface like other tracked machines seem to? 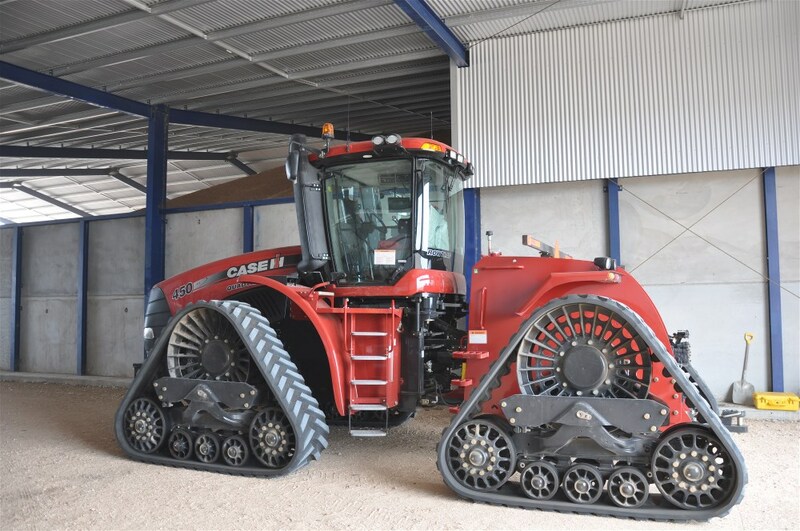 And how do the tracks rate for maintenance? James, its very smooth through a turn. There is little or no disturbance, but I should also say there is no weight on the machine in a turn. All the hard work is done in a straight line. No track maintenance problems, the tractors’ only done 400hrs to date, and not expecting any drama anytime soon.